Smule just released version 6.0.1 for iOS. Here is an overview of the changes. You can now customize the tabs in the songbook section of the Sing! app to your needs. Click the microphone symbol and scroll all the way to the right until you see a plus symbol. Click it and you will see a list of categories, such as musical genres and special categories such as Recommended, Popular, Trending and Unlocked. Using the checkmark symbol you can add or remove tabs. The entries at the top are your current tabs. You can also use the button on the left to change their order. The settings you see while recording a song have changed. You can’t swipe anymore on the video to change the video filters. There is a new button on the bottom left to change the filter—but only for the songs you open yourself! Just as with group songs, the person opening the song now also controls the video filter for duets. The settings just show you which filter was used if you join. There is no option to change it anymore. The button in the middle controls the audio filters and the button on the left gives access to the volume of your microphone and the guide track. Some people couldn’t find the rewind and flag button anymore after the update. In order to access it, you need to drag the control panel (see left image) down and the rewind and flag button will appear again (right image). Users have reported problems with recording video. The video frame that is visible during the recording is not the same as after the upload. So you might have your head cut off. Smule has been made aware of the issue. Currently there is probably no other solution than to aim the camera somewhat higher during recording. We will update the article once the problem was fixed. People have also reported that the recently added Boost option is not available anymore. Update: The video frame seems to fixed in version 6.0.5. In addition, the flag/rewind buttons have been made more visible again. You are just starting out with video on the Sing! app? Here are some tips to make your videos look better. First of all, you probably want to get a lot of light and you want it in front of you! Too little light is especially problematic with Smule videos, since they are compressed and the less light there is, the more compression artefacts you will see. So as a rule of thumb: unless you want to create a special mood for your song, you want a lot of light and you want the light to in front of you and diffused. The easiest way to achieve this is to just stand in front of a large window. (But not a window where the sun is directly visible from where you are standing.) So in this setting, you get diffused light from all sides and as a result, your face is well-light without any hard shadows. it is high enough, so you can place the phone at least at the hight of your face or even better: a little bit higher. it has a 3-way head, so you can use your phone in portrait mode—or you buy a phone clamp, which can be rotated. If you also want to sing on rainy days and at night, the window tip might not work for you. In that case, consider a more professional solution. Get one, or better two so-called softboxes. They also produce the diffused light we want. You can get a set of two starting at around $60 (Amazon search link). Place the softboxes to the left and right of you and and somewhat higher than your head. This is basically the same setup a photographer would use for portrait shots. We don’t want a flash of course. So we need the continuous output light these softboxes provide. The only downside of this setup is that it needs a lot of space. If that is a problem for you, you could also look into LED lights. They can provide a lot of light, but the light is not as diffused as with a softbox. So your skin won’t look as soft. Those LED lights come in different shapes, including ring lights, and they often include optional filters to influence the color of the lights. 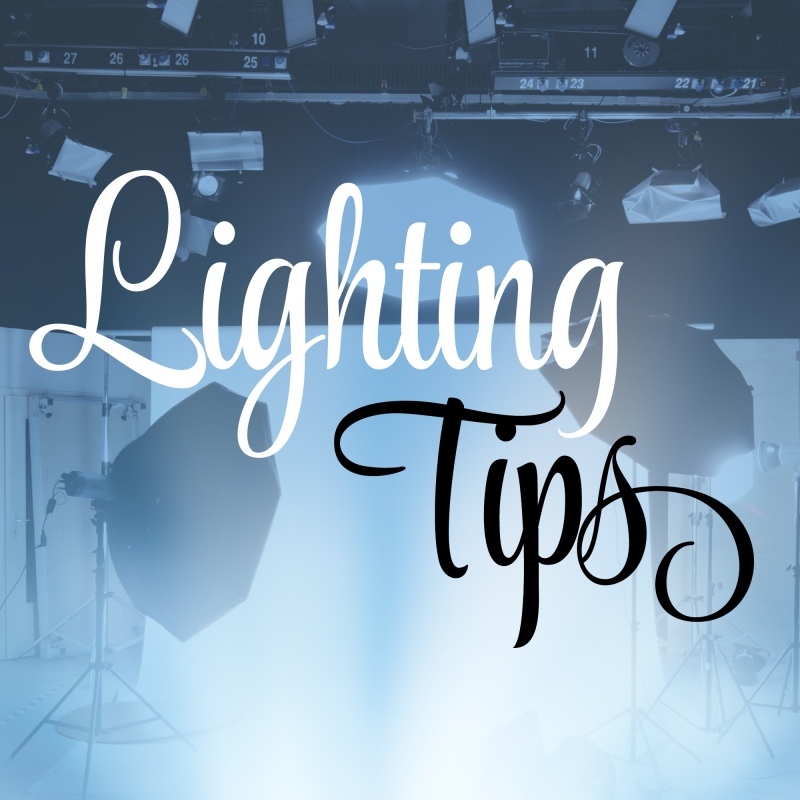 If the LED lights are rather bright, you can move them far away (to make the light more diffused) or even point them away from you at the walls or the ceiling to get diffused light. Got any other lighting tips? What setup do you use? Feel free to let us know in the comment section below. The Sing! app version 5.3.1 for iOS brings a lot of improvements for your profile page, especially for VIP users. Here is an overview of what has changed. You can now upload a background image for your profile page. In addition you can set one of five background colors. These options can be used individually or in combination. Many singers use their profile text to link their groups and other singers. Now the app recognizes these mentions and shows a list of profile images as links below the text block. In case you don’t like this behavior, there is a new setting called “Display @mentions” on the settings page to turn the feature off. You can now pin a song on your profile page. This is a great way to show new visitors your favorite collab or to feature other singers you have sung with. To choose a song click the three dots next to the collab on your profile page or in your favorites list. The pinned song will be shown prominently and with al large cover image on your “channel tab” between your profile header and the list of your latest songs. Only one song can be pinned at a time. If you select a new one, the previously pinned song will be removed. Monthly and yearly subscriptions are available and usually cheaper than the respective prices in the Apple and Google Play store. And there is another advantage: VIP subscriptions bought through smule.com can be used on iOS and Android devices at the same time! To purchase a VIP subscription on smule.com you need a credit card. This offer is not connected to the previous subscriptions bought in the Apple or Google Play store. You would have to cancel your current subscriptions there and buy a new VIP subscription on smule.com after your app store subscription has ended. With version 5.0.9, the iOS version of the Sing! 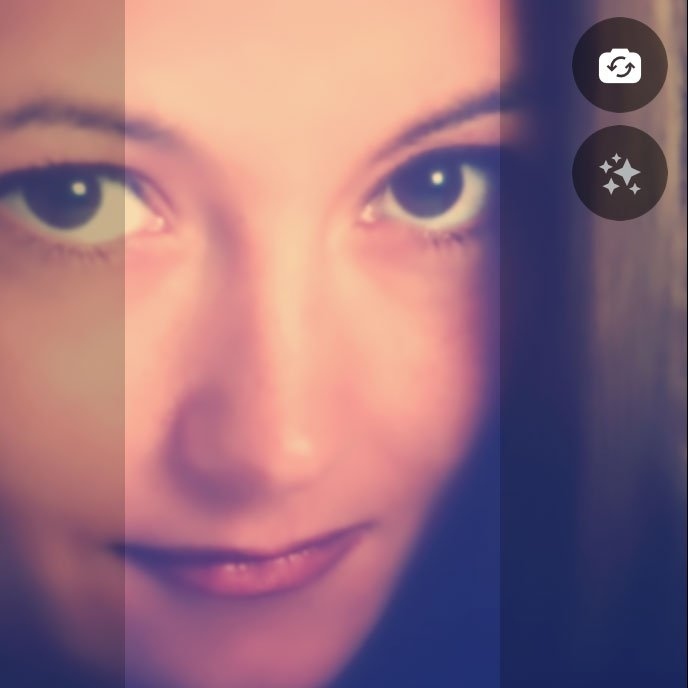 app gains a new video filter option: the so-called Blemish filter. It’s a live video filter, which detects smooth surfaces like your skin and adds a blur filter to make them appear even more smooth. The effect can be turned on and off before, during or after a video recording. It works in combination with the existing filters like Selfie, Vintage and so on. Have you used the new option yet? How do you like it? 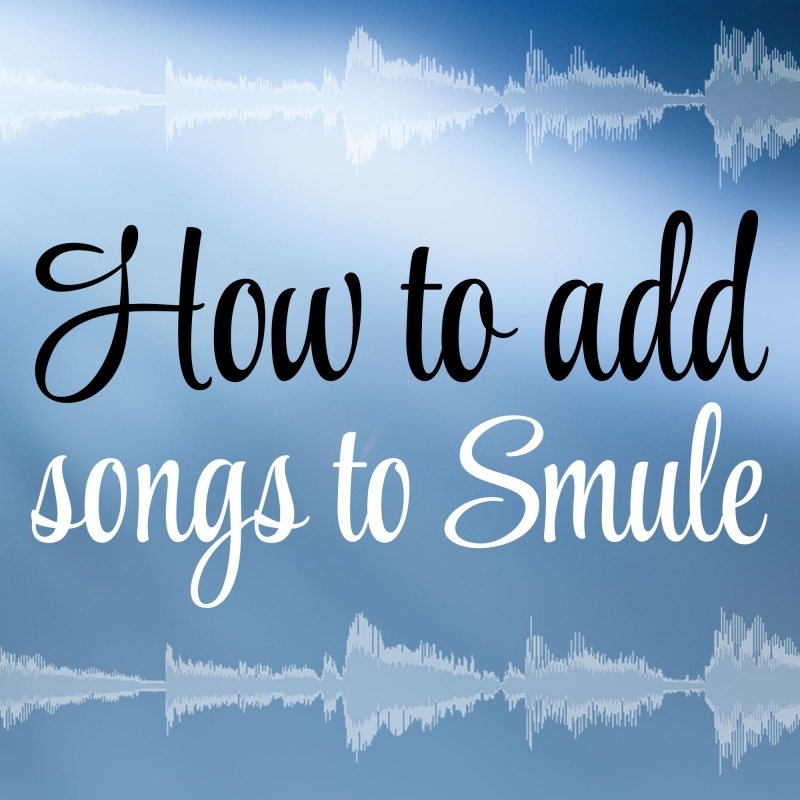 We already published an article about uploading songs to Smule. But what if you don’t have karaoke versions of your favourite songs and you can’t record them yourself playing an instrument? Then you might try to remove the vocals from an original track. Here is an article about how this can be done. But let’s be clear about it in advance: a perfect karaoke track is one that never had vocals to begin with. Unfortunately, there is no reliable way to remove vocals from any song. You can mute a voice track in the studio, but once the final recording is produced, the voice is mixed in with all the other instruments and hard to remove. There are two basic principles to try it anyway: Isolating the voice through its frequency range and isolating the voice through its placement in the stereo panorama. Identifying and removing the frequencies of a voice is easy to do with an audio equalizer, but the problem is: the frequencies the singer uses, are usually also used by the instruments, so you would remove them as well. So for most songs, that doesn’t get us sufficient results. It might work to just lower the volume of the voice though. If you have an audio editor with a spectral pitch display (see above) you could also use it to identify the individual notes of the singer and then delete them manually. But the process is quite cumbersome. So we rather focus on the typical way to create karaoke songs from original songs: the center cancellation method. This method is based on the fact, that the voice and the instruments are usually distributed in a certain way across the stereo panorama, i.e. the left and right channel. The lead vocals are recorded in mono and almost always placed exactly in the center, while other instruments are either recorded in stereo or they are mono and placed somewhere on the left or right. If all that is the case, we can – in theory – easily isolate the lead vocals by just removing what is exactly in the center. This can be done in any audio editor, free or professional. You take the original track, split it in two tracks if necessary, and then reverse the phase of one track. As a result, what is played in the center will be played on both channels and through the phase change both channels will cancel each other out regarding the equal (center) parts. What was exactly in the center, is now removed. Here is a video tutorial for this technique using the free audio editor Audacity, which is available for Windows, Mac OS and Linux. 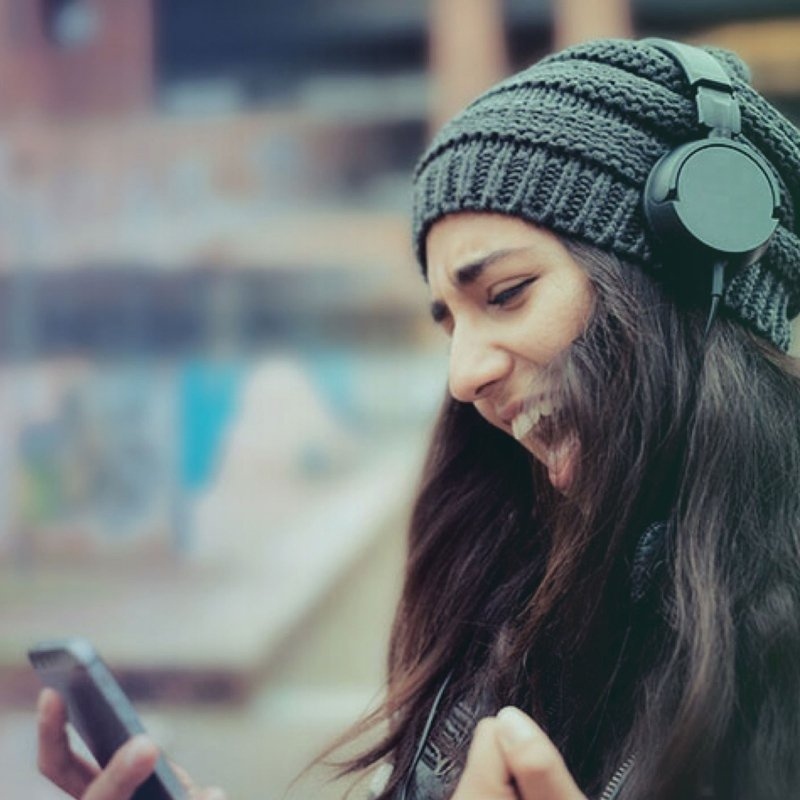 But you can use this technique in almost any other audio editor and recording app as well. The voice usually has stereo reverb (or other stereo effects) added to it. Those effects act across the entire stereo panorama and are therefore not removed through the center cancellation technique. 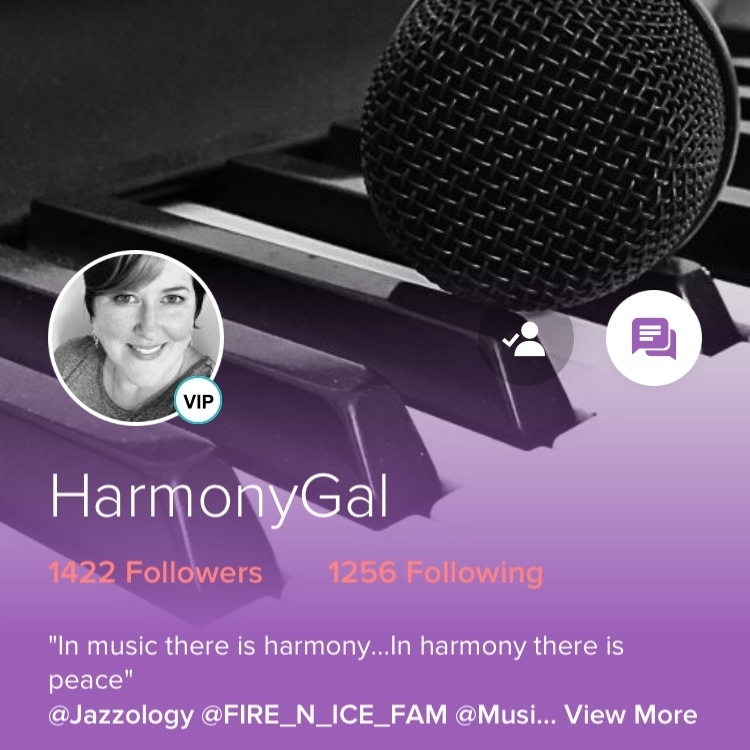 As an active Smule user you have probably heard lots of background tracks like that in the Smule community songbook. Other instruments are usually also playing in the center and they are removed as well. So the background track will often sound rather flat and tinny. Better results can be achieved if you use professional audio editors. They will also use the center cancellation technique, but they provide settings for it as stock option or through third-party plugins. So depending on the song, you have detailed control over the frequencies that get removed and the amount of space you remove from the stereo panorama. 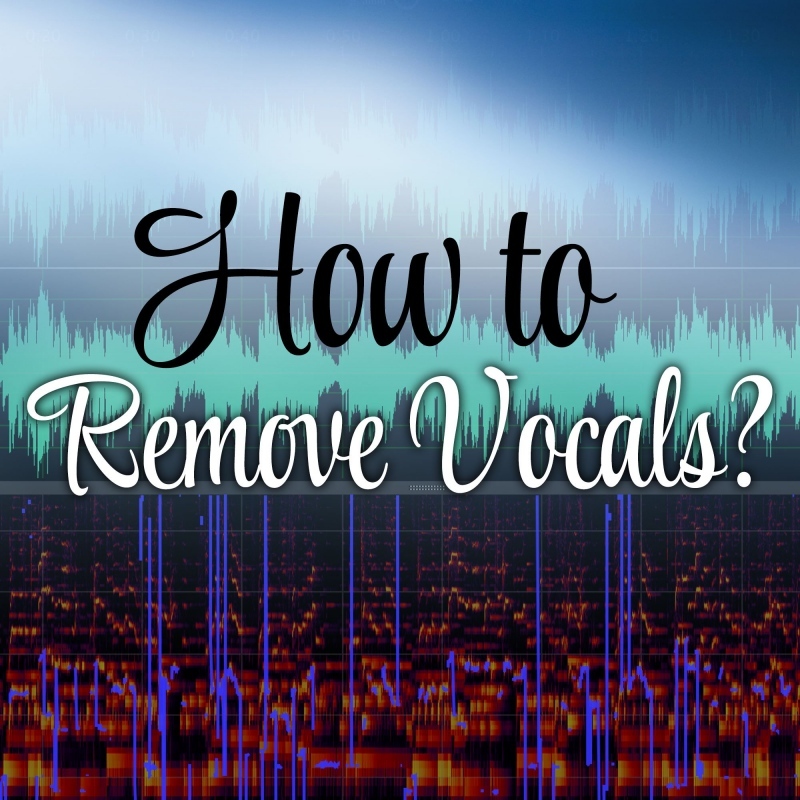 As a result, you can remove as much as necessary from the vocals, but keep as much as possible from the instruments. Whether or not the center cancellation technique works depends on the mastering of the specific song. Even for songs on the same album, it might work well for one track, but not at all for another. In my experience, the best results are achieved with uptempo pop and rock songs. The lead vocals have usually very little effects added and the instruments are distributed evenly across the stereo panorama. An acoustic song with a guitar and a voice on the other hand might not work at all. The instrument and the voice will usually share the same space in the stereo panorama and the same frequencies, so you can’t remove one without also muting the other. But if you are missing a certain song in Smule, give this technique a try! With apps like Audacity you can even try it for free. And feel free to let me know what your experiences with voice removal are! Which software do you use? What do you like about it? What are your tips and tricks? Your favourite song isn’t in the Sing! app yet? Then maybe add it yourself! It’s pretty easy! All you need a desktop computer and a karaoke version of your song. I don’t want to recommend any copyright violations, so for this article we assume that you created the karaoke version yourself, e.g. by recording yourself playing an instrument or by arranging a MIDI song in an app like GarageBand. So you should now have a lossless audio file of your song as .wav or .aiff for example. Now let’s go through the process of preparing the song and uploading it to Smule. 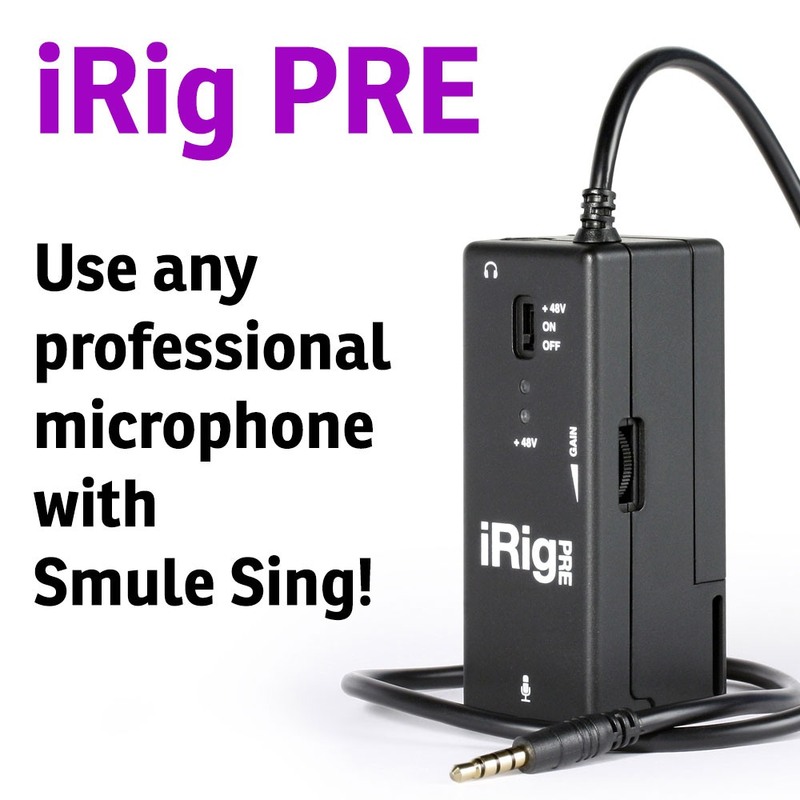 To upload a song to the Smule community songbook you need an .mp3 or .m4a file which is smaller than 20 megabytes and shorter than 10 minutes. So you can usually upload your live recording or arrangement straight away, but it’s often useful to optimize it first with an audio editor. A popular choice is Audacity, since its free and available for all major operating systems. There are a few things we want to check and optimize now. As you might have noticed, songs in the community songbook can have very different volume levels. In an audio editor you can manually change the volume, but you should at least normalize the song. This brings the average or peak amplitude to a target level (the “norm”). In Audacity, just pick the Normalize filter from the effects menu to normalize the entire song. Don’t you hate it when community songs start and/or end with several seconds of silence? It’s especially annoying with video OCs. So make sure you remove that silence before uploading a song to the songbook! In Audacity just zoom in to the beginning and end of the song, select the area where no music is playing and hit backspace to delete the silent parts. If the volume jumps abruptly at the beginning or end of the song, it won’t sound very good. Even just a little bit background noise coming from your microphone can create this unwanted effect. To remove this problem, you can add a fade in effect at the beginning of the song and a fade out at the end. Select a part of the beginning or end and select “fade in” or “fade out” from the effect menu. See the volume jump at the end where the music stops abruptly? We should add a fade out effect to the selected part to improve the recording. When the song is ready, we export it as .mp3 or .m4a file. Feel free to pick a high bitrate for better quality, since a small file size is not important for the use of a song in the Smule app. 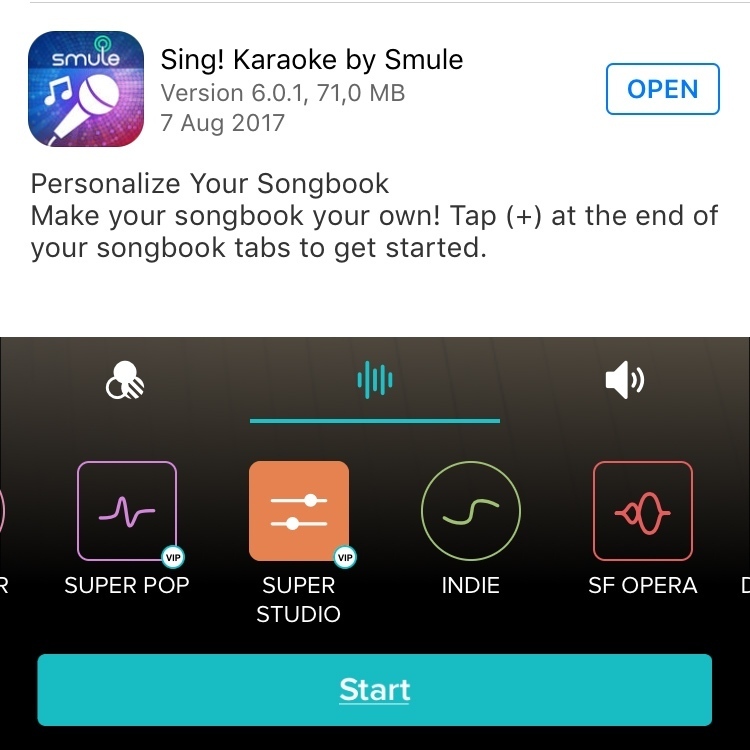 Now open http://www.smule.com/s/upload/ in a desktop browser and pick “Songbook” to create a new karaoke song available to everyone. Select the .mp3 or .m4a file you just created. Add the song title, artist, a cover image and tags. You could skip the last part where the lyrics are added, but it is highly recommended that you add them. So write down the lyrics or just copy and paste them from another site. Make sure the line-breaks make sense, so the singers can easily follow the lyrics. Assigning the lines to singer 1 and 2 is optional, but also highly recommended. To assign a part to a singer just click the button next to the line of the song. If the original song is divided among two singers, e.g. there is a male and female part of a musical song, then replicate this separation. For most songs it is totally up to you how you divide the parts. In general, you want to try to keep a good balance. Don’t let one singer sing alone for too long—but also don’t switch between the singers too fast or too often. And don’t assign the lines randomly. Make sure there is a pattern to it, e.g. switch every second or fourth line of the verses and then let them sing the chorus together. Often the pattern gets reversed after a while (e.g. after the first chorus), so every singer gets a chance to sing all melody parts of the song. After you have assigned the parts, you need to set the timing of each line. For this the song is played for you in the browser. You only need to hit the space bar, once the next line (the one below the speaker symbol) is supposed to be sung. You continue this process throughout the song for each line. It’s simple, but you can easily make mistakes if you don’t hear the original voice to guide you. If you made a mistake, you can jump back to specific lines or just start over. But please don’t upload a song with mistakes in the timing of the lyrics. Tens of thousands of people might want to sing your song and they will all struggle, just because you wanted to save 3 minutes and didn’t restart the timing after a mistake. When you have set the timing for every line, you can play the song again to make sure everything is correct. It helps to sing the song aloud as you would sing it in the app. When you save then song now it gets published immediately in the app and everyone can create solos and collabs. Be aware that there is no delete option at the moment. So make sure you are really happy with the result before saving/publishing. If you have additional questions about song uploads, feel free to ask!